It's almost time for Santa to make his yearly trek around the globe bringing cheer to young and old alike. 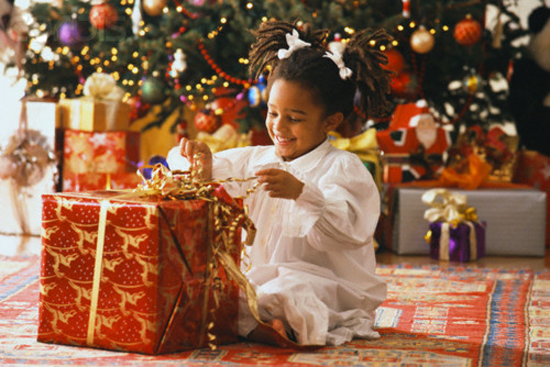 Let's bask in the magic of Christmas! 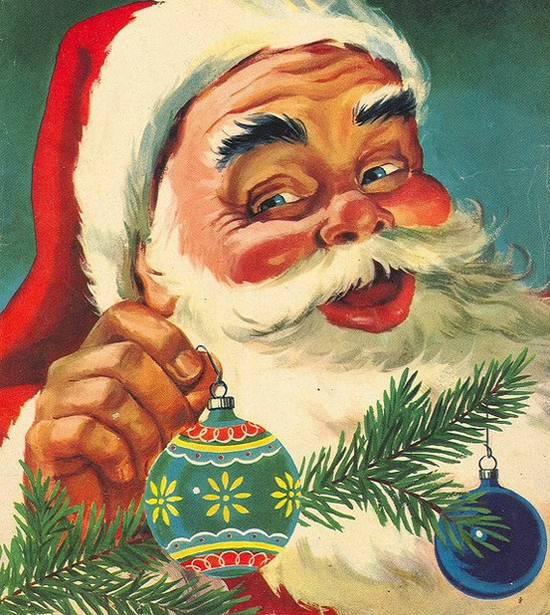 My Favorite Things has many fantastic products featuring Jolly Saint Nick. Let's take a look at some awesome projects created in celebration of Santa! 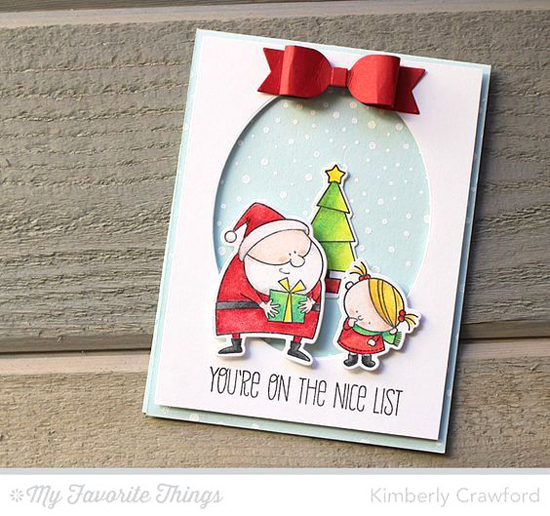 Kimberly's sweet card features Kris Kringle and a sweet little girl from the Jingle All the Way stamp set. 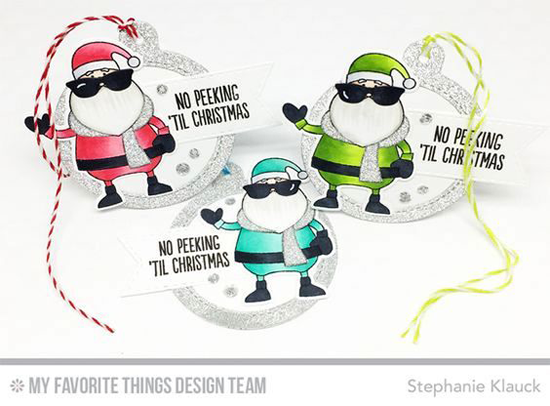 These cool tags from Stephanie feature the Santa from our Merry Everything stamp set. No peeking! 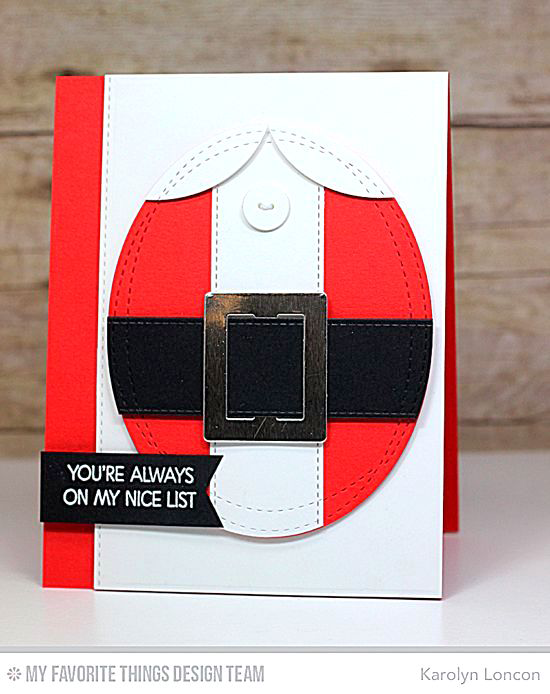 The stockings are hung by the chimney with care in this gorgeous design from Yoonsun featuring the Fireplace Die-namics. Barbara's Father Christmas is sharing a jolly hello. This whimsical guy is from the Christmas Cuteness stamp set. I bet Mrs. Claus is getting Santa's Suit ready for the big day! 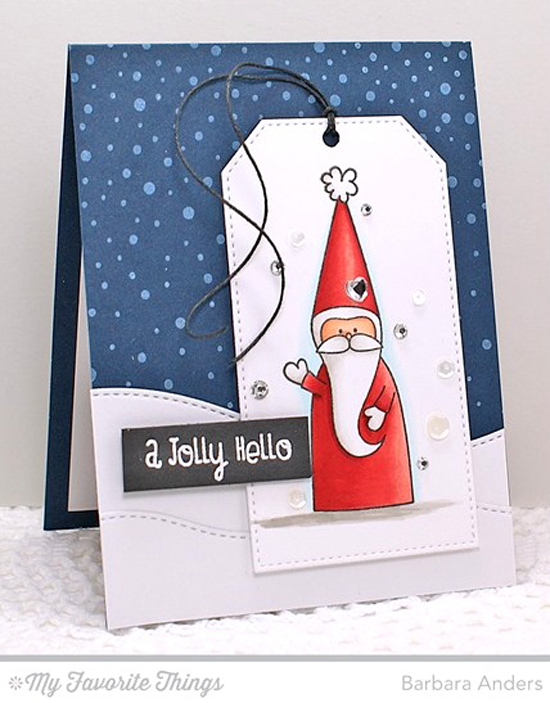 This adorable card by Karolyn pays homage to the jolly old elf. 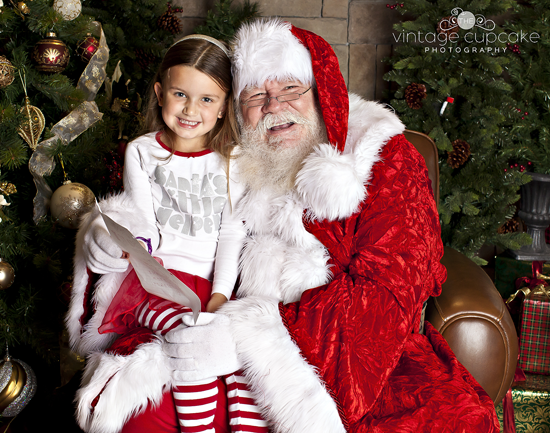 Before you go, take a look at a few of the Santa-related things you can buy at the My Favorite Things online store! Simply click on the photo to be taken directly to the product. If the product is currently out of stock, you can sign up for an email notification once it's back in stock! Here's to a creative (and festive!) weekend! 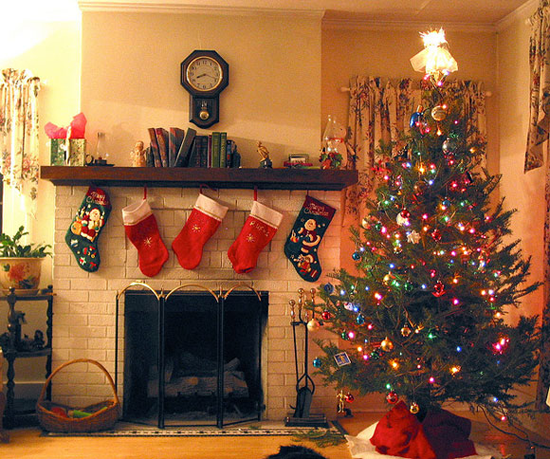 An early Merry Christmas from all of us at MFT! 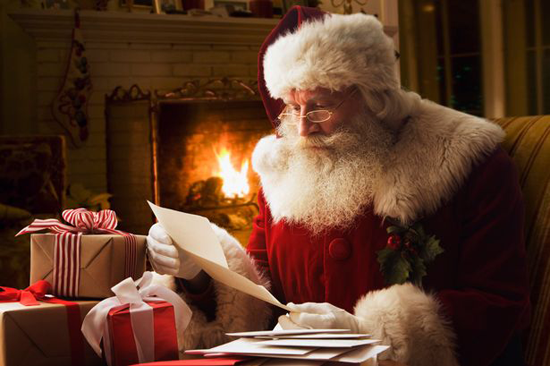 These are the most wonderful pics of Christmas & Santa! And the cards are so gorgeous! Great inspiration for all! Merry Christmas to you and yours.